There’s no mistaking it, summertime brings an array of spectacular flowers and foliage that other seasons just can’t deliver on. Peek into your garden or that of a neighbor’s and you‘re likely to find the likes of allium, astilbe and gorgeous hosta plants! Take in the beauty of soft lambs ear, mint, dahlias, gladiolus and snapdragons too! And these are only a handful of the beautiful summer flowers and plants that may be gracing your garden during the summer months! With your outdoor spaces looking so good why not make a statement indoors too with fresh cut summer flowers? It’s easy to transport the beauty of summer blooms indoors when you can clip a few stems from your own garden but not everyone is so lucky! If you fall into the latter category Brant Florist has you covered this summer. 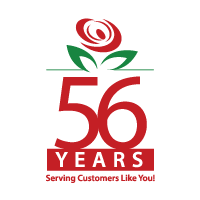 Simply call or visit the shop and we’ll quickly help you get your fix of summer flowers for your home. Pick up a bouquet of our summer fresh flowers and plunk them into your own vase when you get home. Taa-daa, you have a little bit of summer sunshine indoors. If you’re thinking only a custom flower arrangement will do to compliment the spread you’ll prepare for a summer barbecue party we’ll be happy to design an arrangement that says, “Easy breezy summertime fun!” Or perhaps you have dear friends or relatives celebrating a summer birthday, engagement or milestone anniversary? 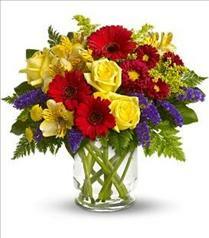 Nothing says congratulations like an unexpected arrangement of beautiful flowers delivered right to their doorstep! 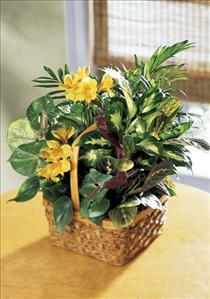 One thing is for sure, summertime is the perfect time to enjoy the beauty of flowers indoors. Whether the flowers are for your own home or as a gift for someone special this summer we’re her to help you!